If you and your spouse agree on all the terms of your divorce, the dissolution is uncontested. 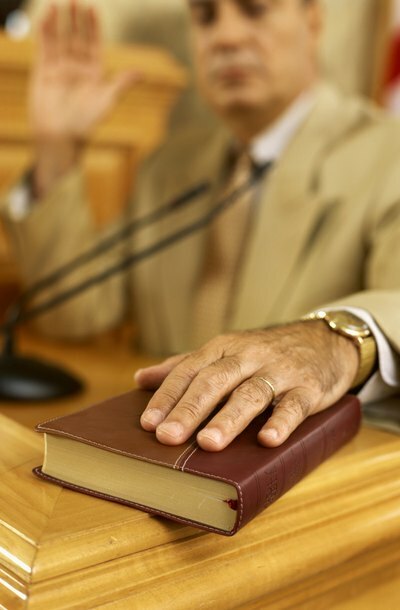 The final hearing is often a simple matter of presenting your written and signed agreement. The judge might ask you some questions about its terms, like support and custody, and make sure you entered into it willingly. In some states, no hearing is required to get a final decree in an uncontested divorce – you just file your agreement with the court and the judge reviews and signs it. Contested divorces result in trials. Your dissolution is contested if there's even one issue you and your spouse can't agree on. You must present evidence in court to convince the judge to rule your way. If you have a lawyer, he'll do this for you, but you may have to testify to explain some details. Both your attorney and your spouse's lawyer will question you. Sometimes the judge makes a decision right then, but if many issues are in dispute, he will probably take some time to issue a written decision – and a dissolution decree – at a later date.